Collectors looking to follow the postseason gold rush will set their next destination for the hobby-only 2018 Topps Gold Label Baseball. The product's signature gold framed autographed and relic cards create a premium piece worth chasing. The base set contains 300 cards, each 100-card series organized in a tiered system. The three tiers (Class 1, Class 2, and Class 3) are differentiated by their label and their image variety. The Class 1 cards are the most abundant and increase in scarcity as they ascend in the system. One box guarantees 35 cards, which puts set collectors far away from a base set. 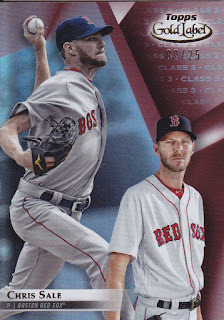 With the three different classes for the base set, collectors are going to have to think hard about whether pursuing a base set is a challenge they want this off-season. Each series has four colored parallels (Black, Blue, Red, and Gold). These inserts become harder to find by class, with the odds sharply decreasing as between Class 1 and Class 3. The parallel odds are listed below. While the image variations and designs will attract collectors, the true gems in 2018 Topps Gold Label Baseball are the framed autographs. They are guaranteed one per box and have limited edition parallels that add even more value to a desirable product. 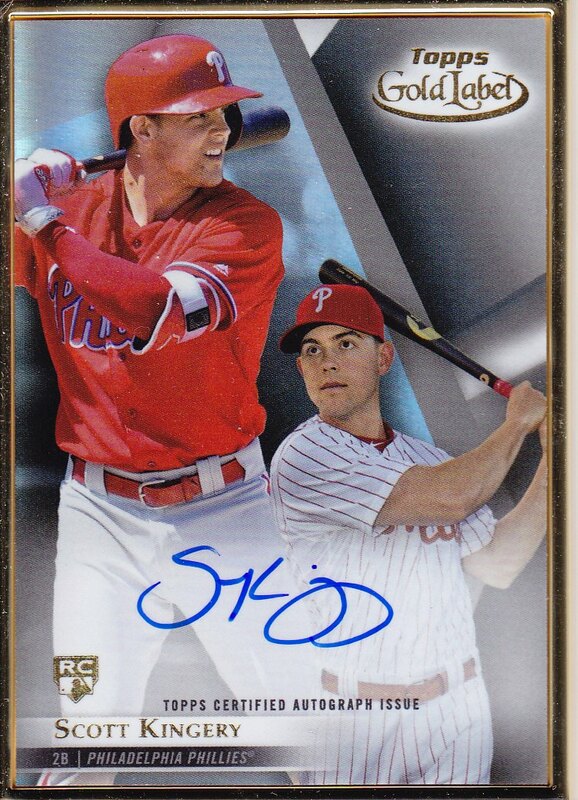 Topps gives collectors a ready-made collectible by framing their autographed cards. The thick gold border creates a card that demands a display, not one destined for a binder like most traditional signed trading cards. 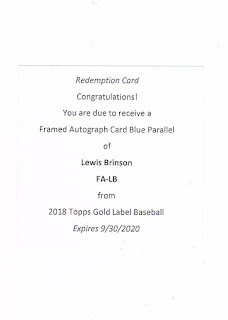 The box provided for this review uncovered both a Scott Kingery rookie framed autograph and a Lewis Brinson blue parallel autograph redemption. The relics are even harder to find, with their Golden Greats Autographed Relics and MLB Legends Relics all numbered to 75 or less. 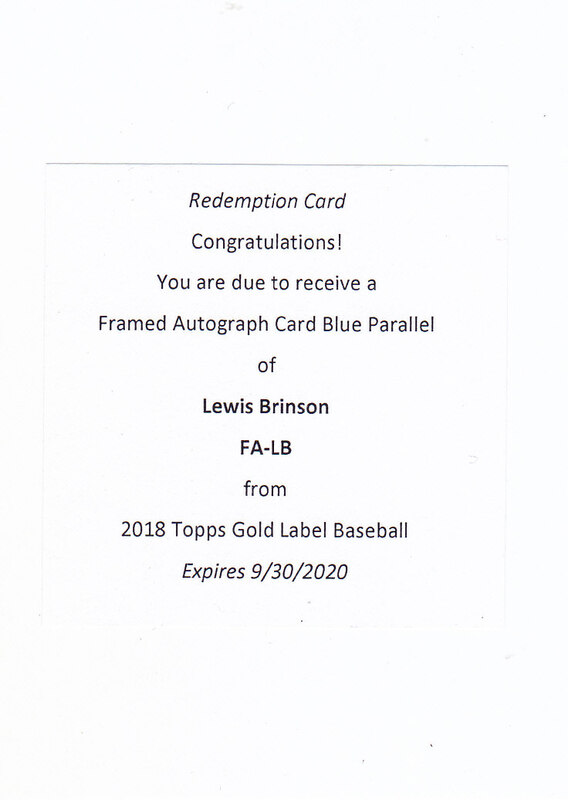 Lucky collectors will rejoice in finding a black (#/5) or gold (1/1) parallel. 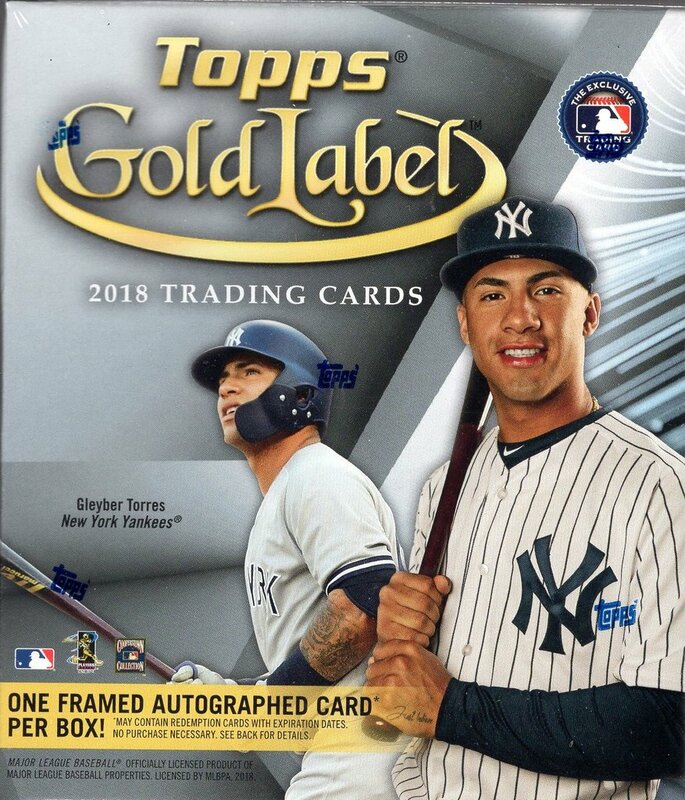 After opening a box of 2018 Topps Gold Label Baseball, it is apparent that the framed autographs will be the key driver of interest to this product. One question that collectors will have to answer is if they want to hold on to the base set. The images are crisp, and player collectors will enjoy the variations; however, the prospect of opening ten or more boxes to complete a set will send the average collector to the secondary market. 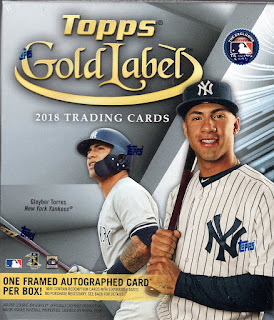 Despite the challenges of finishing the base set, 2018 Topps Gold Label Baseball ranks highly among Topps' guaranteed hit products and is worth checking out a box or two for the framed autographs alone.